Email List Signup First Name Email required State required Alabama Alaska Arizona Arkansas California Colorado Connecticut Delaware District of Columbia Florida Georgia Hawaii Idaho Illinois Indiana Iowa Kansas Kentucky Louisiana Maine Maryland Massachusetts Michigan Minnesota Mississippi Missouri Montana Nebraska Nevada New Hampshire New Jersey New Mexico New York North Carolina North Dakota Ohio Oklahoma Oregon Pennsylvania Rhode Island South Carolina South Dakota Tennessee Texas Utah Vermont Virginia Washington West Virginia Wisconsin Wyoming Outside U.S.
Get State Smart about how the federal budget affects you. The federal budget is made up primarily of your dollars – and it's your right to know what's happening with that money. Every day, residents of Utah are affected by the federal budget. Federal dollars show up in your community through public services, roads and bridges, public assistance programs, clean air and water, and much more. You probably pay taxes to the federal government, send your children to schools that receive federal funds, or know someone who works for a federal agency or contractor. The impact of federal dollars flowing to and from Utah is significant. Based on the most recently available data, Utah receives about $22 billion dollars from our federal budget over the course of a year, between federal grants and contracts to business and governments, federal assistance going right to its residents, and federal employees working there. Because the most recent data represent different time periods, we have combined data across different years to create this current best estimate. At National Priorities Project, our mission is to make the federal budget understandable to all Americans and ensure that it reflects the priorities of all Americans. We hope State Smart helps you make your voice heard. Note: State Smart reflects the most current budget data available. We update these numbers as we get them, so check back often. All numbers here are expressed in 2015 dollars. About 2.9 million people live in Utah, our 45th state and the birthplace of Julianee Hough. The largest ethnic racial group is White, followed by Hispanic. The median age is 31. In 2014, the Utah unemployment rate was 3.8%, compared to 6.2% for the U.S. overall. The official unemployment rate counts only those people who are actively seeking work. Many economists think it's important to take a broader view and count not only the officially unemployed, but also those who have given up looking for work or are unwillingly working part time because they can't find a full-time job. Overall, Utah has a lower poverty rate than the U.S. The median household income in Utah is $61,745, higher than the U.S. median of $54,382. There are four basic ways that federal dollars flow into Utah, impacting you and your neighbors. Federal dollars in the Utah budget, which fund public assistance programs. Direct benefits from the federal government, paid to individuals. Payments to vendors to perform federal contracts. Salaries paid to federal employees working in the state. Every state budget in the U.S. relies on money from the federal government, and many local budgets do too. Nationally, the percentage of state revenues that come from federal dollars jumped from 27.8% to 35.5% between 2008 and 2010, as Recovery Act money trickled down. In 2013, the most recent year on record, federal money made up 30% of revenues collected by the 50 states. In 2013 Utah got $4.4 billion dollars from the federal government, which is 29.0% of its total revenue. That $4.4 billion funds public assistance programs like Temporary Assistance to Needy Families (TANF), Medicaid, the Low Income Home Energy Assistance Program (LIHEAP), and Community Development Block Grants. Here's a breakdown for some of that money. To see these amounts over time and compare them to other states, visit the Federal Priorities Database Grants to States dataset. On top of the federal money going to the Utah state budget, an additional $704.9 million went directly to local governments within the state. This money funds everything from Community Development Block Grants to housing and disaster assistance to public transit improvements. In 2014, Utah residents received about $10.9 billion in direct benefits from the federal government. That's about $3,718 per person. Most of that money is Social Security and Medicare benefits, but it also includes food stamp benefits, unemployment benefits, and federal education assistance like Pell Grants. In 2014 the U.S. paid about $451.5 billion to vendors to perform contracts ranging from supplying the military with weapons to building websites. These contractors performed work in every single state, including $2.3 billion worth in Utah, about $787 per resident. Agency-wise, the biggest spender in Utah was Department of Defense, which oversaw 64% of federal contract money in the state. Rounding out the top five list are National Aeronautics and Space Adminstration, Department of Veterans Affairs, Department of Defense, and Department of Agriculture. 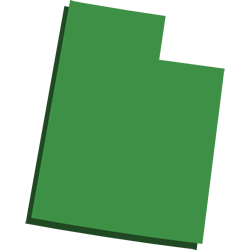 50,648 people in Utah worked for the federal government in 2014. The average annual compensation for these workers - in other words, wages plus benefits - was $79,352. When compared to the average compensation for all jobs in the state, that's higher. In total, those 50,648 federal workers in Utah received $4.0 billion in compensation, about 5% of all wages and benefits earned by people who worked in the state. Compare that to Washington D.C., where federal workers represent 38% of all earned compensation , and Hawaii, where federal workers earn 20% of all compensation in the state. Hint: there are fewer federal workers in Utah than there used to be. In 2014, Utah residents and businesses paid $15.6 billion in federal taxes. Most of that is money paid by or on behalf of individuals in the form of income taxes, self-employment taxes, and payroll taxes. NPP's Federal Priorities Database has this breakdown over time as well as a comparison of Utah to other states in the U.S.
Another way of looking at federal taxes is to add up the categories and track the totals over time. As you can see below, per-person federal tax contributions dropped in nearly every state between 2008 and 2009: in the U.S. overall, they declined by 18%. The numbers have been rising in recent years and are now about equal to their pre-recession amounts. NPP's Federal Priorities Database maps all of our business, individual, and total tax dollars, including a per-person breakdown. Hint: Utah tax collections are going up. Share these numbers with your friends and neighbors using the hashtag #StateSmart on Twitter, or post what you learned to Facebook. If you disagree with how your federal tax dollars are being used in Utah (or even if you don’t), let your Congressional representatives know. Tell us what you thought was most surprising and about your experience with the budget on our Faces of the Federal Budget project. Sign up for our email updates to learn more about how the federal budget affects you. Want to get even more specific? You can answer the questions below and many, many more by exploring the entire suite of NPP's interactive data tools. What did Utah residents buy with their federal income taxes? Get a receipt. What does each congressional district and city in Utah pay towards military actions like the Iraq War and federal programs like Medicaid? How many Head Start slots could Utah buy with the money it contributes to the F-35 Joint Strike Fighter? Who from Utah has a personal story to tell about the federal budget? How has the flow of federal money to Utah for Community Development Block Grants, Pell Grants, Food Stamps (SNAP), Temporary Assistance to Needy Families (TANF), and other programs changed over the years?